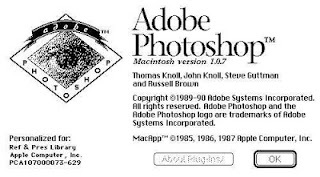 This story from The Verge illustrates the problems with Photoshop. 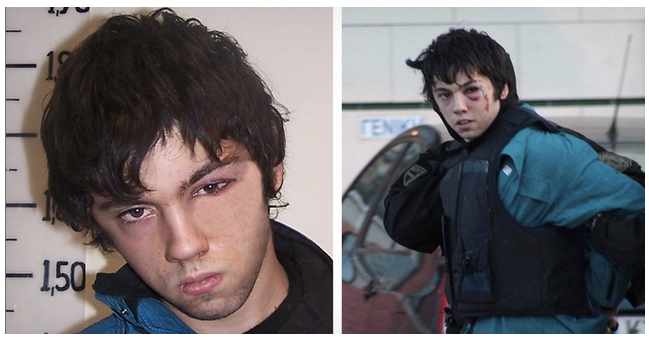 "A Greek prosecutor has asked for an investigation into whether retouched mug shots are covering up evidence of police brutality, Reuters reports. Earlier in February, four young men were arrested during an attempted armed bank robbery, and photos taken at the time of their arrest show heavy bruises or split lips. Mug shots released not long afterwards, though, didn't match up — they'd been poorly Photoshopped, with injuries apparently gone. Critics have accused police of singling out and beating the suspects, then altering photographs to downplay the extent of their injuries. "My son — and the others arrested — was not treated like every other law violator but with particular hatred because he is an anarchist," says the mother of one of the suspects. Two of the men are accused of being part of the Conspiracy of Fire Cells, an anarchist group linked with several fire bombings. The police aren't denying the injuries, but they say they were incurred during the arrest, not as retribution. Public Order Minister Nikos Dendias also defended the use of Photoshop. "If they hadn't been Photoshopped," he said, "in order to make them resemble an image that the average person would recognize them in, then the photos wouldn't have been published in the first place." SWGDE has released a few documents for public comment. Check them out by clicking here. I was contacted by Eye Detect, from the UK, to have a look at their product - Eyecite. On first glance, it seems like the product is targeted to latent print examiners with little to no image science background (or Photoshop experience for that matter). I've got the demo and will be giving it a thorough test run. 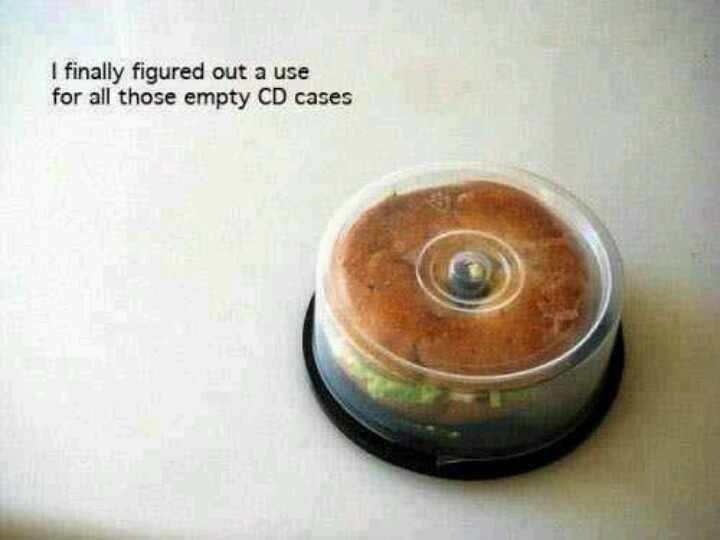 Here's a recycling program that we can all get behind. I don't like "see, I told you so" type posts - but I have to say, I told you that this was coming. "The U.S. Department of Justice and the U.S. Department of Commerce's National Institute of Standards and Technology (NIST) announced today the establishment of a National Commission on Forensic Science as part of a new initiative to strengthen and enhance the practice of forensic science. "Forensic science is an essential tool in the administration of justice and needs to be continually evaluated as science progresses," said Deputy Attorney General James M. Cole. "Forensic science helps identify perpetrators, convict the guilty, exonerate the innocent, and protect public safety. This initiative is led by the principle that scientifically valid and accurate forensic analysis strengthens all aspects of our justice system." "The Department of Justice and the National Institute of Standards and Technology have a history of successful collaboration," said Under Secretary of Commerce for Standards and Technology and NIST Director Patrick Gallagher. "Through this initiative, we will work even more closely with the forensic science community to strengthen the forensic science system." The commission will have responsibility for developing guidance concerning the intersections between forensic science and the courtroom and developing policy recommendations, including uniform codes for professional responsibility and requirements for training and certification. The new initiative provides a framework for coordination across forensic disciplines under federal leadership, with state and local participation. The Department of Justice, through its involvement in the commission, will take an active role in developing policy recommendations and coordinating implementation. The NIST-administered guidance groups will develop and propose discipline-specific practice guidance that will become publicly available and be considered for endorsement by the commission and the Attorney General. This coordinated effort will help to standardize national guidance for forensic science practitioners. Additionally, NIST will continue to develop methods for forensic measurements and validate select existing forensic science standards. Specific criteria for membership will be announced in an upcoming Federal Register notice, and applicants will have 30 days from the publication of the notice to submit their applications. As a non-regulatory agency of the U.S. Department of Commerce, NIST promotes U.S. innovation and industrial competitiveness by advancing measurement science, standards and technology in ways that enhance economic security and improve our quality of life." 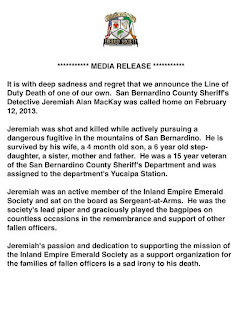 See the full press-release here. From the LAPPL Blue Line: "I must preface this with the experience that I believe helped mold me for such an important position. I served in the U.S. Marine Corps for four years and attained sergeant prior to entering the Academy. I have worked various assignments throughout my 30-year career: prostitution enforcement detail, field training officer, Metropolitan Division, field supervisor and CRASH supervisor. Throughout my career, I have worked for many captains, lieutenants and sergeants who each have their own different leadership styles. I took the good traits from all of them to create my leadership style. My main concern is for the safety of each and every officer on my watch. I talk tactics and safety on a daily basis. I promote teamwork and never ever allow an environment that is not productive for each officer and the Department. I promote doing the right thing at all times. Mistakes of the heart are just that and should be treated that way. Every little mistake does not have to be documented. As the watch commander, I must lead by example and set the tone in roll call each and every day. I never leave roll call on a negative note. I must mentor both veteran and junior supervisors and share my philosophies on leadership. I take charge of major incidents and make my directions clear and concise. Finally, I debrief each and every tactical situation and accept criticism as a positive learning experience. I must support those who are accused of misconduct, keep in touch with those who are sick or injured and let them know I am there for them 24/7. Additionally, I give advice and support through family loss, illness, divorce, child custody and depression. This applies to both sworn and civilian employees; they know where they can go for advice. I must know my people on a professional basis and a personal one in order to understand them better. Morale on my watch is my responsibility, and I will promote it on a daily basis; good morale means a productive watch. One of the hardest watch commander duties is to support new Department policies good or bad, whether we agree or disagree, and sell them to our people. — Sgt. 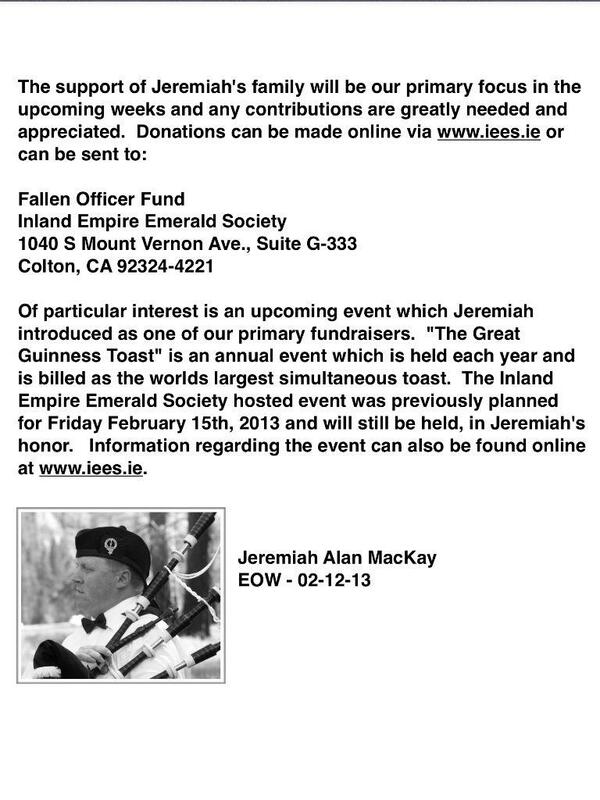 James Reid, Foothill Area Watch Commander"
Given the pain and suffering that we've all been through in the LE community as of late, I thought Sgt. Reid's words were quite appropriate. Make sure to take care of yourself and those in your care. Click here to read the whole story and download the source code. The dates have been set for the NaTIA Pacific Chapter's Spring Meeting. 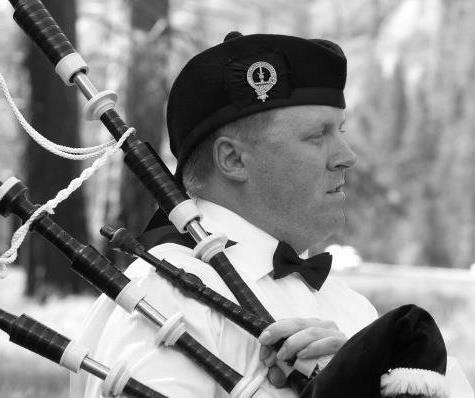 We'll be in Pasadena, at the historic Scottish Rite Cathedral, April 15-18. With the roll-out of IP cameras, it goes without saying that some of the footage will need to be enhanced or clarified. This session will illustrate how Amped FIVE can work with the native Milestone files that come from cameras like Axis (the most popular cameras in the law enforcement arsenal) as well as work with the live feed, dialing into the camera/server directly and performing enhancements to the live feed. Programs like JPEG Snoop and FourMatch are based on a database of camera signatures. Thus, they are not effective in authenticating images from social media, DVRs, or deleted images carved from cell phone data dumps. Contextual authentication - has the image been altered through cut/paste or delete - is at the heart of most requests for authentication of digital images in our courts. This session will illustrate the many domains of contextual authentication using Amped's Authenticate. The meeting is open to dues current NaTIA members and is a LE only event. If you are an active LE employee involved in surveillance or digital forensics, consider joining the National Technical Investigators Association. The annual dues are still only $25. 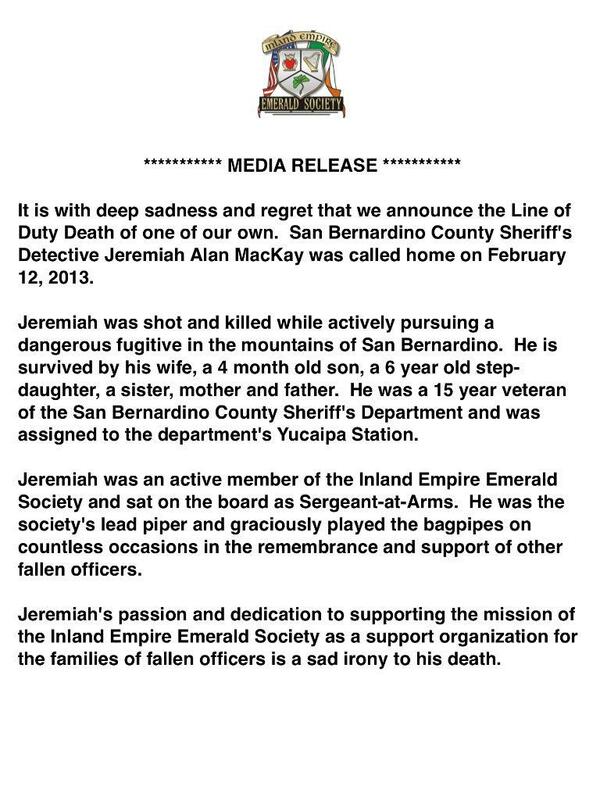 San Bernardino County Sheriff's Detective Jeremiah Alan MacKay. 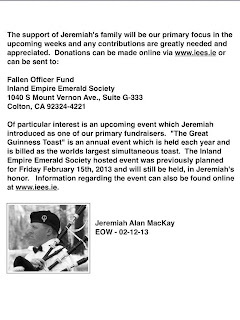 For information on the Jeremiah MacKay and Michael Crain Memorial Fund, click here. Occasionally, you'll receive an .AVI file from the field that just won't open. You have the correct codec, but an inspection reveals that the header is corrupted or damaged. What to do? A feature within Amped FIVE can help. 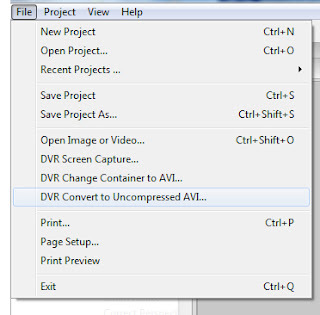 Designed to convert files with a proprietary container, but with standard contents, the DVR Change Container to AVI (as well as the DVR Convert to Uncompressed AVI) functions as a repair tool. Selected from the file menu, these powerful tools might take a few minutes to work with your broken file. The time spent depends entirely upon the size of the file - in terms of the amount of frames. Once converted/changed, you can work your regular clarification routines and output stills or video. "... RED is found in Genesis 25:30. In Hebrew, ADoM, it has a numerical equivalent calculated by adding the value of each of its three letters: alef (1) + dalet (4) + mem (40) = 45. Finally, blue, TeCHeLeT, seen in Exodus 25:4 has a numerical value of tav(400) + chaf (20) + lamed (30) + tav (400) for a total of 850. Electromagnetic frequency tables inform us that blue’s rate of vibration is about 650 trillion times each second ..."
I recently received an invitation (via LinkedIn) to speak at the 2nd International Conference on Forensic Research & Technology, to be held in October in Las Vegas. While it's always a bit flattering to receive an invitation to present, I had to admit that I'd never heard of the conference or it's host - OMICS Group. Before agreeing, I searched the net and asked friends if they'd heard of the group or it's conference. No one in my circle of friends had heard of the group, much less the conference. A little more searching dug up an old article from the Charleston Advisor. Having a large number of titles, as does the OMICS Publishing Group, is typical of predatory Open-Access publishers. Also typical is each journal's broad coverage. For instance, among this publisher's titles we find Earth Science and Climate Change, Anesthesia and Clinical Research, and Bacteriology and Parasitology. By offering 68 titles each with a broad coverage, this publisher is tacitly saying it will publish anything. OMICS' Web site stands out for its sophisticated look and feel. It has a very professional look and repeatedly pays homage to the Open Access movement, a movement it is exploiting. The tag line on the publisher's home page reads“OMICS Publishing Group: An Open Access publisher for the advancement of science and technology.” OMICS very cleverly uses logos from several legitimate organizations associated with Open Access on its pages. For example, on its home page, the publisher has logos for CrossRef, PubMed Central, DOAJ, Index Copernicus, and Scientific Commons. The publisher also has a link called Conferences that leads to a page with scientific conference information, a trick to make the site look more scholarly and legitimate. The home page uses graphics and layout that effectively mimic legitimate publishers' Web sites. OMICS uses the “author-pays” model (OA gold) to support Open Access. Buried on one page I found a reference to “handling fees” that are charged upon acceptance of a manuscript. The predatory Open Access publishing industry is getting more and more competitive. This publisher's marketing strategy is to make its site appear just like the sites of legitimate publishers, a strategy it accomplishes quite well, for the site is slick and convincing. I never was able to determine exactly what OMICS stands for or means; the name is not explained. Perhaps it is a play on the “omics” suffix found in the names of fields of study such as genomics and proteomics ..."
Needless to say, I declined the invitation. Many investigators assume that all their video evidence comes in one flavor - 29.97 frames per second. But, is this true? DVRs are usually scalable and upgradeable utilizing specific or proprietary software. They typically have video capture circuits or cards that can process 60, 120, 240, and 480 frames per second. These numbers represent the total number of frames per second that can be accommodated for all of the cameras or channels per system. For example, the 120 frames per second DVR with 16 cameras has an approximate frame rate of 7.5 frames per second. This means that each camera can be converted at 120/16 or about 7.5 frames per second. Then there's the question of the reliability of the DVR. Did it actually record 7.5 frames per camera per second? In my tests, the answer is usually NO. System overhead and other internal issues usually result in a number that's between 5 and 8 frames per second - a number that randomly varies over time. Tools like Amped FIVE can give you precise frame counts, and even accurately tell you the frames per second of the clip. 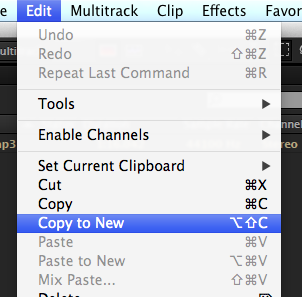 Production tools, like Premiere Pro or Final Cut, force your clip to conform to certain specified standards. Also, there are LEVA courses that teach a method of conforming files for use in Avid's Media Composer. Still and all, it's better to know than to assume. Here's an example: a compression ratio of 200:1 describes the original video with the numeric value of 200. 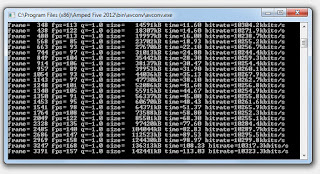 In comparison, the compressed video is represented by the lower number. As more compression occurs, the numerical difference between the two numbers increases. The compression ratio is equal to the size of the original image divided by the size of the compressed image. 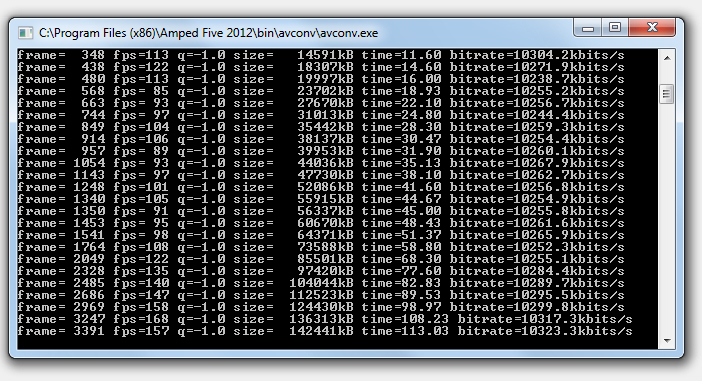 Remember the formula (R = C/O) A 10 MB file that compresses to 2 MB would have a 5:1 compression ratio. Another way to look at it is that MPEG4 video compressed to a 30:1 ratio allows the storage of 30 compressed frames in the same space as a single uncompressed frame. In most cases, the video quality decreases as the compression ratio increases. This is the obvious result of throwing away more and more information to achieve compression. Think of it in terms of making orange juice from fresh oranges. From Digital CCTV by Emily M. Harwood. Many police officers regularly record interactions with the public on small digital audio recorders. Some, like traffic officers, even use small video recorders. A question came in from the following scenario. During a traffic stop, an officer was approached by a citizen who wasn't involved in the traffic stop. A series of questions/answers were exchanged by the officer and the citizen. Then, the officer resumed handling the traffic stop. Months later, the officer was approached by his agency's internal investigators looking into his handling of the citizen's questions. He had recorded the interaction on his personal audio recorder, but only needed the small section dealing with the citizen, not the entire traffic stop. His question - how best to redact the section of audio from the entire file? It's actually a simple process. In Adobe's Audition, load the audio file. Then scrub to the section containing the relevant audio to be redacted. Select the section and choose Edit>Copy to New. This will create a new file from the selection. Next, just save the file with an appropriate name. Other programs have the same feature. In those, you may need to copy the selection first - then select Paste to New. Either way, it's helpful to know what the software calls the action you'd like to perform. Once you know that, you're on your way. What happened to Sound Soap? A Sound Soap users recently went to their site to check for upgrades. It had been a while, so he was surprised to find that BIAS, the makers of Peak and Sound Soap were out of business. Here's a link to a discussion on the details of what happened. I received a call about restoring the voices recorded by an in-car video system. Unfortunately, the siren obscured the voices. Audio restoration always involves trade-offs. In this example, removing the siren can remove part of the voice that occurs during the siren. So you may have to reconcile solving this problem with the infamous law of unintended consequences. Thankfully, Adobe's Audition allows for some very strategic and targeted edits. When done in the Spectral View, you can be very precise in removing unwanted noise - but you'll still lose a bit of information. Photoshop: verb. To alter an image. If you needed further evidence of photoshop becoming a verb, here's the latest round of fun - a collection from twitter. Photoshopping is all the rage these days.